The United States of America is far and away the most technologically advanced country in the world, and as much as it appears in the news these days about how unstoppable this digital prowess has become, there will always be that one exception to the rule. The Federal Registry, the self described "Daily Journal of the United States Government," publishes a website on all the orders, laws, and public operations the government carries out in a single day. Over 100 posts are accounted for everyday on the website, showing that it has the capability of using modern day technology efficiently. 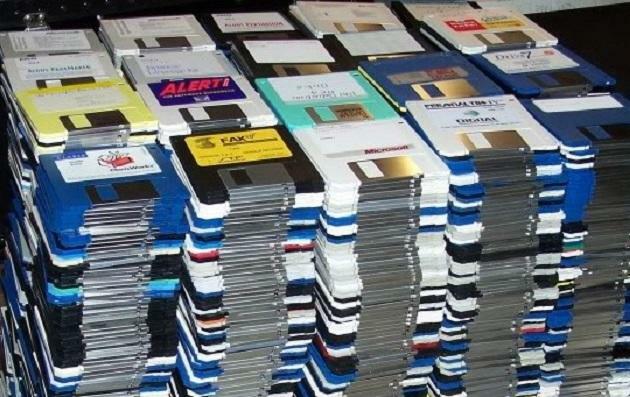 However, the employees who physically transfer the data to be published do this with 3.5 floppy disks, the least efficient and most obsolete method of data transfer known to man apart from maybe 5.25-inch or 8-inch floppy disks. On occasion, the branch is allowed to use CD-ROM to transfer the documents, but SD cards and flash drives are strictly forbidden. Even the email network set up by the agency has yet to be fully adopted by all of its employees. "You've got this antiquated system that still works but is not nearly as efficient as it could be," Chief Executive of the Professional Services Council says. "Companies that work with the government, whether longstanding or newcomers, are all hamstrung by the same limitations." Sounds a little antiquated and embarrassing to be seeing the world leader of technology using such means, but hey, at least we are not writing on typewriters. What are the odds of a spy being able to pick up a computer with a 3.5 inch disk drive? Am I right?